In hindsight, the Destiny 2 Beta was probably a bad idea. For some it had opposite the desired effect, showcasing an admittedly thrilling opening level but leaving many cold to the fact that it seemed very much to be simply more Destiny. Now it’s finally out, though, I’m happy to confirm that, while it retains everything that made the first game great, it adds a heap of new stuff to more than justify its sequel status. First of all, it now has a story. A coherent, surprisingly captivating story. There’s no sign of the mysterious Exo warrior from the first game, which probably confirms that we’ll never understand what the Darkness was or what we were really up against in the vanilla campaign of the first game. 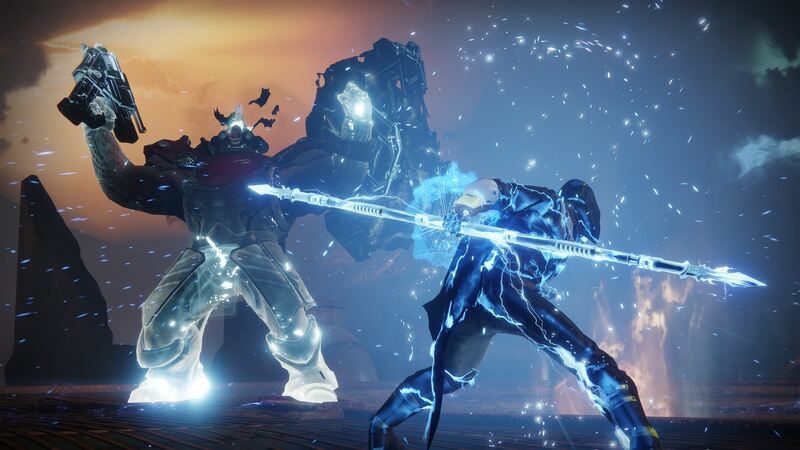 The sequel instead takes its story beats and atmospherics from The Taken King and Rise of Iron expansions, showing that Bungie has grown and learned as a developer. 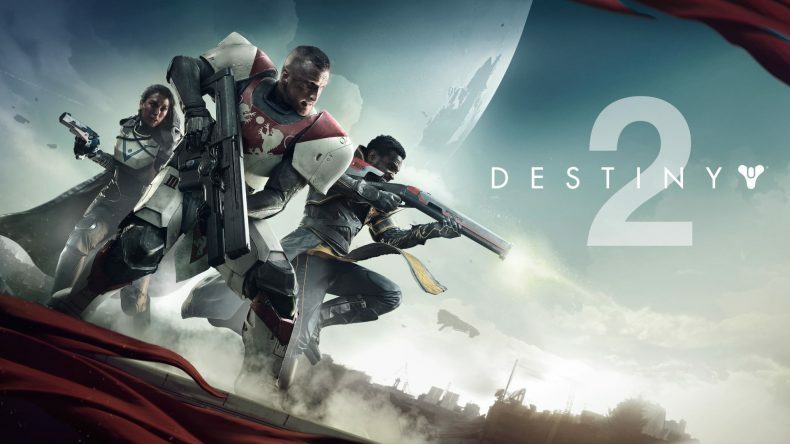 Destiny 2’s campaign is much more in line with those latter-day add-ons, interspersing the sublime gunplay with full cutscenes, characterisation, and a villain who almost – almost – becomes truly interesting before the story does what video game stories have to do, and renders him just another big boss to fight. That said, though, it’s a pretty decent final tussle. So first, the backstory. Set some time after the events of Rise of Iron, Destiny 2 sees the Guardian headquarters invaded and the Last City half-razed by Ghaul, a Cabal general who fancies himself an Emperor. He wants the Traveler’s Light to make himself immortal, and he thinks the way to get it is to strap a huge machine to it and essentially strip-mine it. 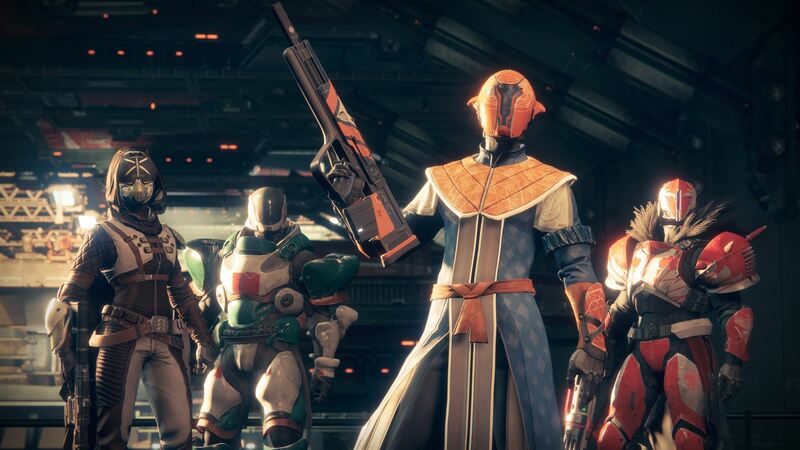 With their connection to the Light lost, even the three heroes of the Vanguard, Zavala, Cayde-6, and Ikora Rey, are left fearing that their next death will be their last. It falls to you, then, as the only Guardian still bound to the Traveller, to save the Last City. Once again, though, your grand destiny is tempered somewhat when XxXArsef4ceXxX has also apparently been deemed worthy despite the fact he’s done nothing on this mission but stand beside you doing the “flossing” dance while you square up to humanity’s greatest threat. Sometimes, the shared world works against the central “lone wolf” conceit, especially in the otherwise-brilliant final mission. But the story’s good. It’s great, actually, and does more than just frame the action in a pointless narrative. Which is not to say there isn’t loads of action. 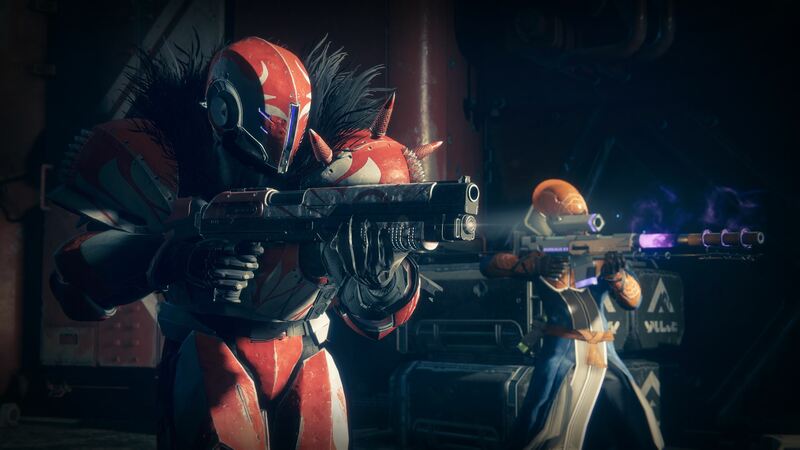 In fact, Destiny 2 is fairly brimming with things to do from the first few missions, drip-feeding new activities every couple of levels or so. Whereas the first game locked everything but the campaign and bounties behind the level cap, the sequel throws things in regularly. There’s a ton of new distractions, such as Adventures that take you on little, bullet-filled sojourns around the various worlds, and Lost Sectors, which are little mini dungeons with a boss-guarded loot chest at the end. Oddly, other things are locked instead, such as your Sparrow. Now, some might say that’s because the new fast travel option means you need your Sparrow less often, which is true, but others might proffer the theory that it’s because at level 20 you can buy Silver, and with Silver you can gamble for rare Sparrows in Bright Engrams. Either could be true, but it’s testament to Destiny 2‘s structure that I only missed my zippy little speeder at one point in the whole campaign, and keep forgetting I’ve got one now I’m in the end-game. Incidentally, calling it “end-game” is even more of a misnomer than ever, as the rolling of the credits is actually the beginning of the true Destiny 2 adventure. Now everything is open to you, and everything is in service to the monkey on every Guardian’s back: the Light Level (here renamed “Power Level”). No spoilers, but things change in the end-game, which is a nice touch to solidify your achievement. But now the galaxy is your oyster, and you can return to any of the four main worlds (Earth, Titan, Nessus, and Io) to explore, join other Guardians and run Strikes and Nightfalls and Heroic Events and Adventures and Crucible matches, as well as tying up end-game mini questlines. Everything you do on a world earns you Tokens for a specific Faction of the resistance against Ghaul. You’re working with normal humans for the most part (as well as one slightly sinister AI), and they require you to do a lot of donkey work. Luckily, they reward you handsomely, and their tokens (as well Lord Shaxx’s, Zavala’s, Ikora’s, and the Gunsmith’s) earn you rep and purple engrams. Even the Nightfall Strike each week looks to be as hard and as lucrative as ever. 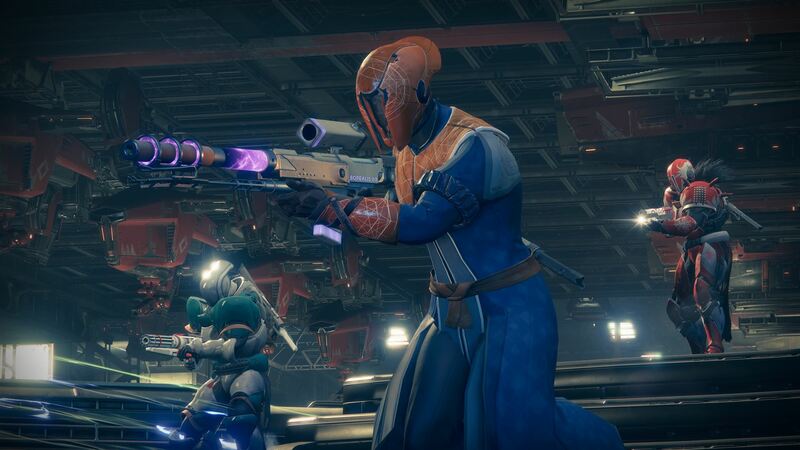 If you’re more of a competitive sort, the Crucible has also had some tweaks. Most matches are now 4v4, and the new maps work well to exploit that. They’re a hodge-podge of environments torn roughly from areas in the campaign, but they all look beautiful and highly detailed. The European Dead Zone map is as joyous as its predecessor, while new arenas like Altar of Flame make for some excellent gunfights. Of course, it’s all very even at this stage as few people have worked out all the exploits and camp spots, but that will change with time. New game mode Survival is fun, as each team resurrects from a finite pool of lives. When they’re gone, death is permanent until the next round. It’s fun and quick, the smaller teams and tighter spaces adding a sense of urgency, and the shared lives upping the ante on both teamwork and self-preservation. The final big change is Clan integration. No longer something born from necessity because you can’t matchmake for Raids and the Trials of Osiris, Clans are now an important element. When you’re all clanned up, everything you do earns you Clan XP which unlocks perks for you entire group that last a while Season (the length of which we don’t currently know), while sterling performance in certain high-level activities earns Clan-wide rewards. It makes you more likely to play in a Clan, which means you’re less likely to need to use the new Guided Games feature. GGs are a way to matchmake for things like Raids, as the system will match you with other Clans currently looking to make up numbers. LFG should be a thing of the past. Ironically, the fears raised by the beta are largely founded, despite all the new content, because, when you get right down to brass engrams, the gameplay is very, very similar to Destiny. I mean, this is kind of Destiny filtered through Halo 3 (there’s even a tank mission), but it’s certainly more of an evolution than a revolution. Changes to weapon loadouts, the inclusion of new guns (grenade launchers and tracer rifles), and the addition of gear mods notwithstanding, it’s the same shooter: gunplay polished to a gleaming shine, but now with extra explosions and a plot to back it up. If anything, it’s a little too easy. I’m a Destiny veteran, admittedly, but I had no problems whatsoever soloing the entire campaign. But I’m more than fine with that, if I’m honest. There are issues with microtransactions, if you’re the type of person on which they, rightly, grate, but on the whole what Destiny 2 charges you for are not essential. You can earn everything you can buy easily enough without the need to spend your money. That aside, I have no real problem with any other element of Destiny 2. It looks glorious, especially some of the locations on Earth and the stormy seas of Titan, and it plays incredibly well. It’s also full to bursting, which was at the top of almost everyone’s wishlist. DLC has already been confirmed, of course, but there’s easily enough here already to fully justify the launch price. The story isn’t huge, but there’s a ton of stuff to do besides the campaign and it’s all ridiculously fun. Bungie have mostly listened to us. They haven’t got it all right (things like Shaders seem to have been intentionally tweaked to part us with our pennies), but Destiny 2 has got it where it counts. It’s big and bold and bursting with content and heart, and there’s a genuine sense of adventure to it all. Quite simply, it’s one of the best first person shooters of the last few years and more than deserving of your time and energy. Big, bright, bold, and bursting with content and heart.